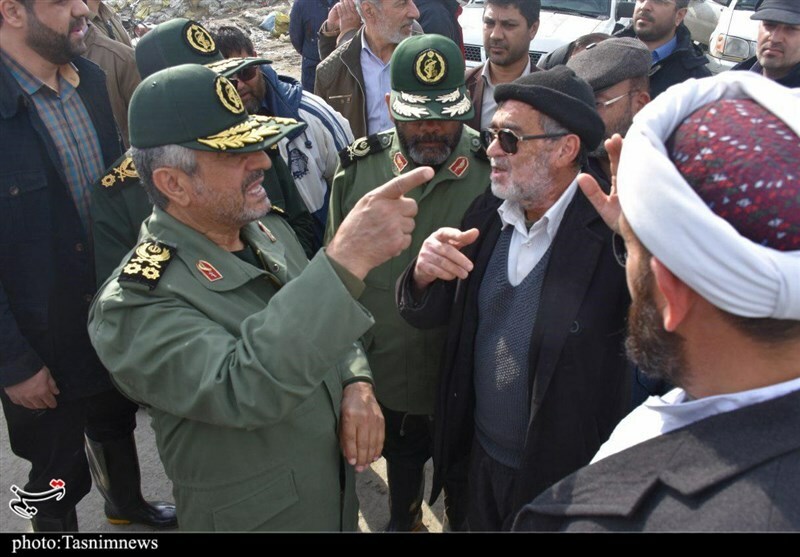 Commander of the Islamic Revolution Guards Corps (IRGC) Major General Mohammad Ali Jafari on Saturday traveled to flood-hit zones in Iran’s northern province of Golestan for the second time in a week. 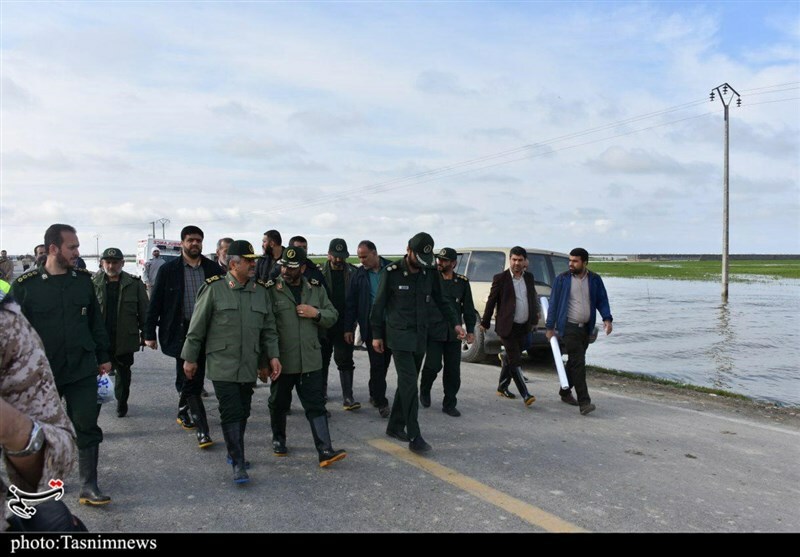 On Tuesday, Major General Jafari had first visited the flood-stricken areas in the northern province, where he referred to proper drainage of the flood waters as the main priority of the IRGC. His second visit is aimed at inspecting relief operations there and speeding up handling and support for the rescue efforts, particularly in the city of Gomishan. 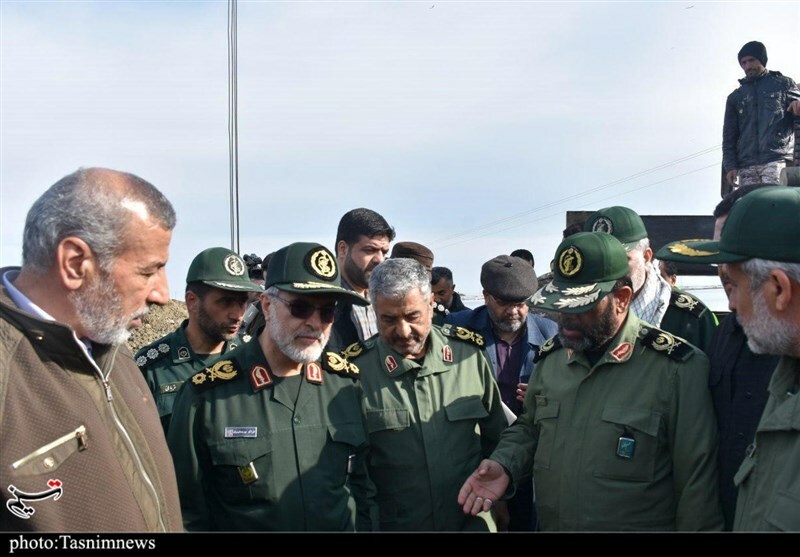 Since last week, the IRGC forces have managed to build 17 bridges in Gomishan and surrounding areas in Golestan to facilitate rescue efforts and connect flooded areas with major roads. Some bridges in the area had been washed away as a result of flash flooding. 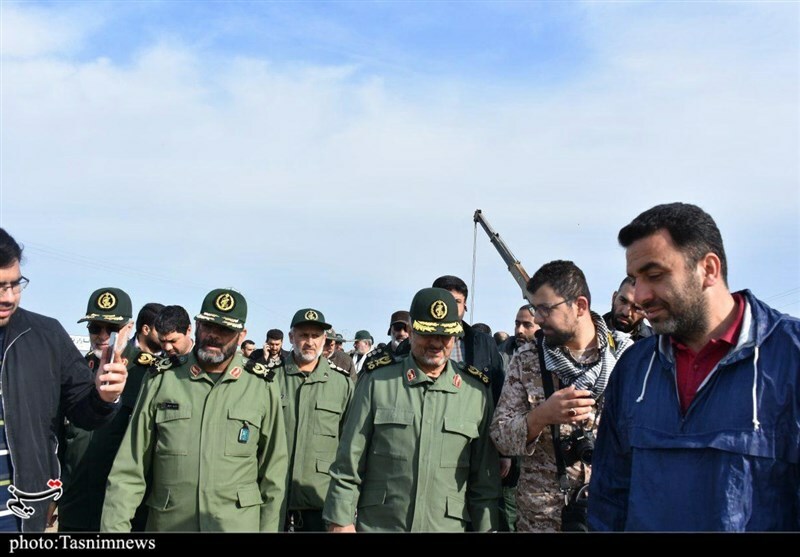 The IRGC Navy force has also set up a large field hospital in Siminshahr, Gomishan District, to treat those injured in the floods and help those in desperate need. The force has also deployed equipment including small boats and jet skis to the flood-hit areas. 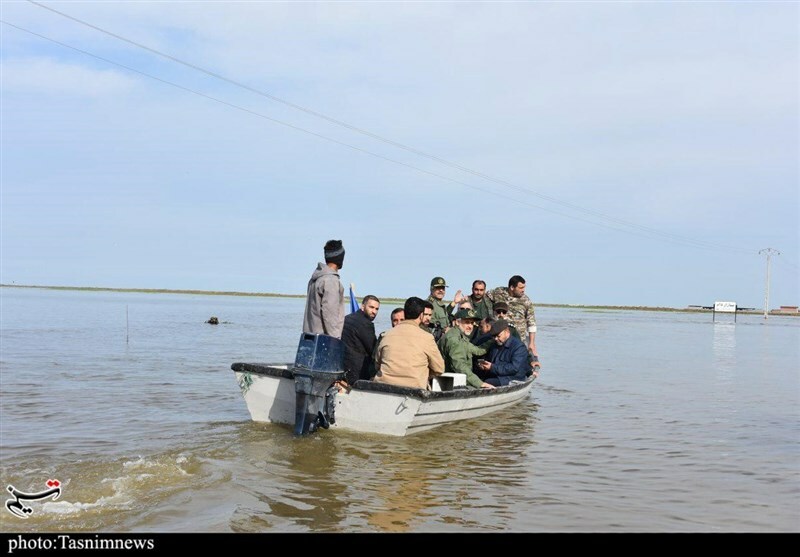 The floods, caused by torrential rain, have affected 25 of Iran’s 31 provinces in recent days, with Golestan in the north and Fars in the south, among the most severely affected ones. More than two dozen people have been killed as a result of the flooding countrywide. The southern city of Shiraz, the capital of Fars province, with 19 deaths that occurred during Monday’s floods accounts for the highest number of casualties. Meanwhile, rescue efforts are underway in several provinces. Meteorologists have forecast more heavy showers and warned of deluges and landslides.